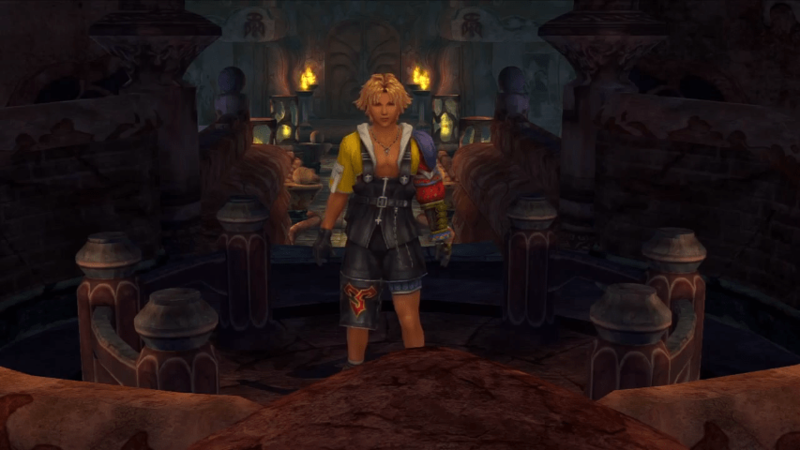 A guide on how to clear the Kilika Temple Cloister of Trials in Final Fantasy, including obtainable Aeons and treasures. The second set of trials takes places in Kilika Temple. Select “Go Inside” to enter the trial site. 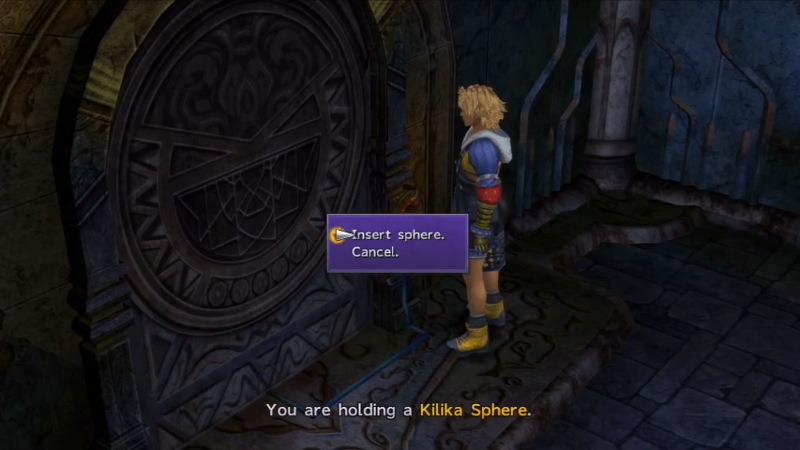 Collect the Kilika Sphere from the pedestal and insert it into the door in the back. 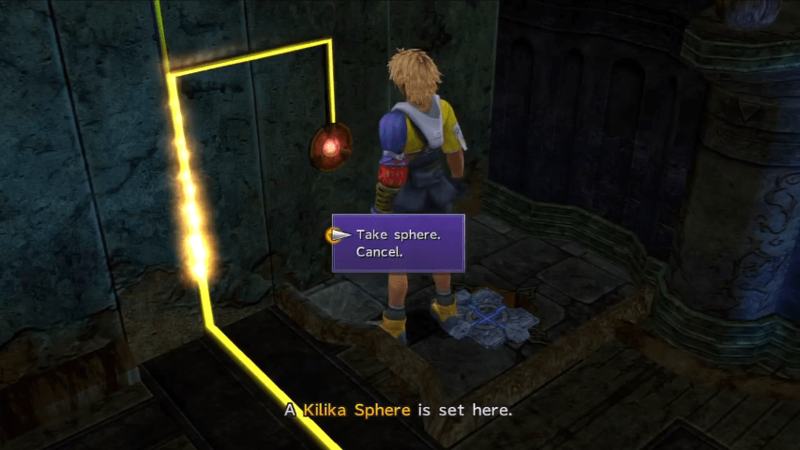 Retrieve the Kilika Sphere to unlock a path. Enter the next room and set the Kilika Sphere into the recess to expose the glyph. Retrieve the sphere again and insert it into one of the other recesses. Touch the glyph on the north wall. 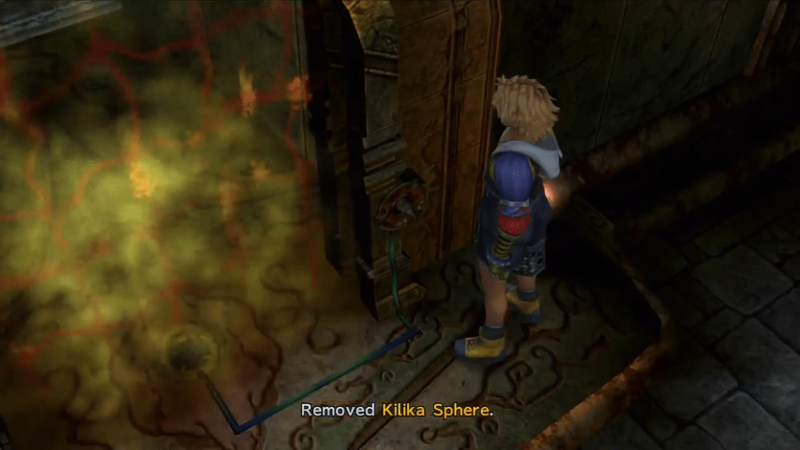 Go to the burning room and retrieve the Kilika Sphere. Bring it to the previous room, then set it into one of the two recesses on the side. Return to the burning room and step on the switch on the east to get the pedestal. 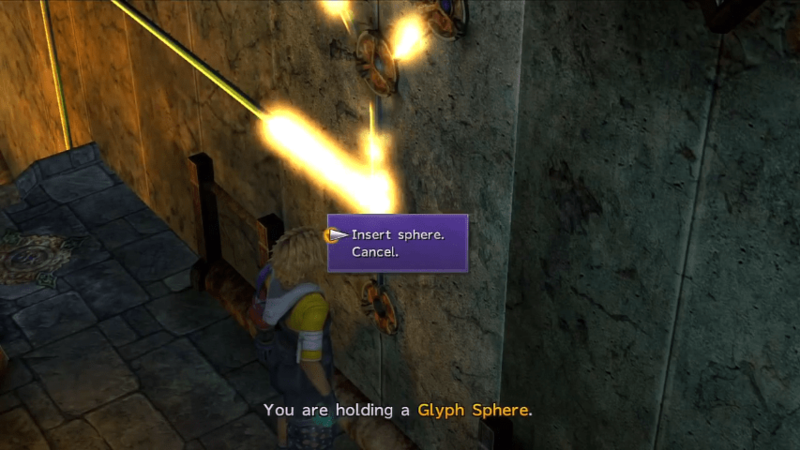 Collect the Glyph Sphere from it and insert it into the recess where the Kilika Sphere was originally. This will extinguish the fire and unravel the Destruction Sphere. Ignore it for now. 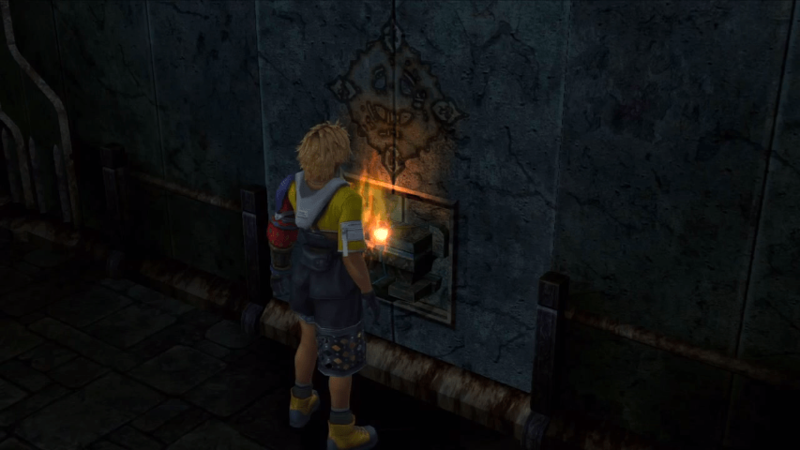 Return to the previous area and collect one of the Kilika Spheres from either recess. Put it into the pedestal, then push it so that the pedestal locks in place on the switch you used to bring the pedestal in the first place. 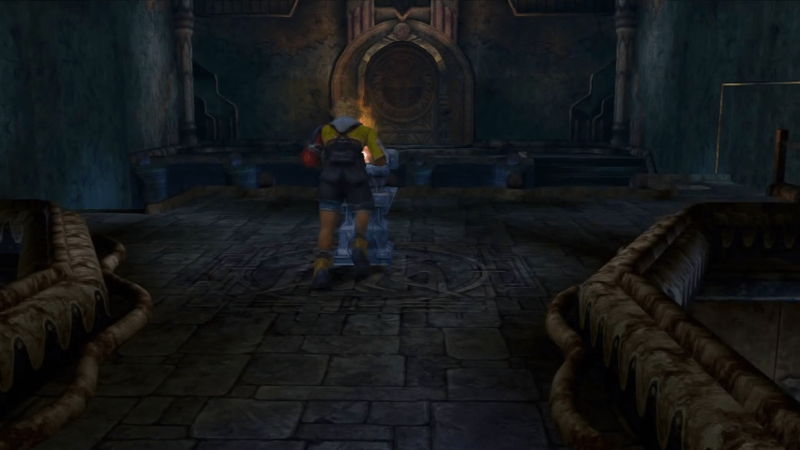 Head downstairs and retrieve the Kilika Sphere. Place it into the door in the back area to set it on fire. 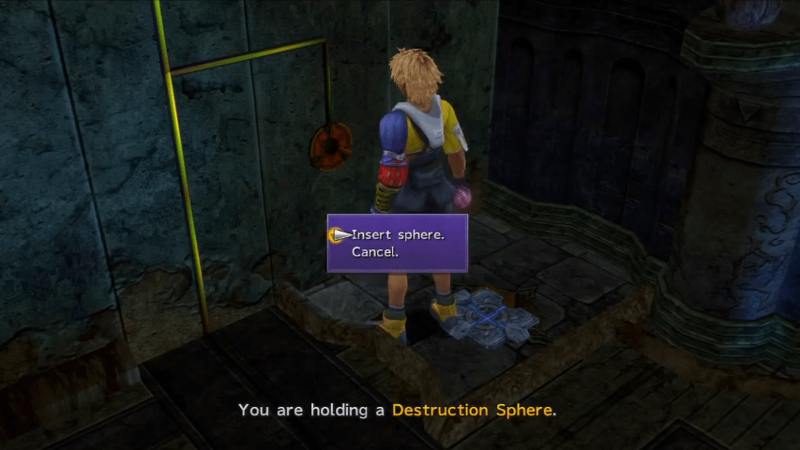 Grab the Destruction Sphere and place it into the recess where the Kilika Sphere originally was to make the wall crumble. Open the chest for a Red Armlet and equip it to Kimahri. 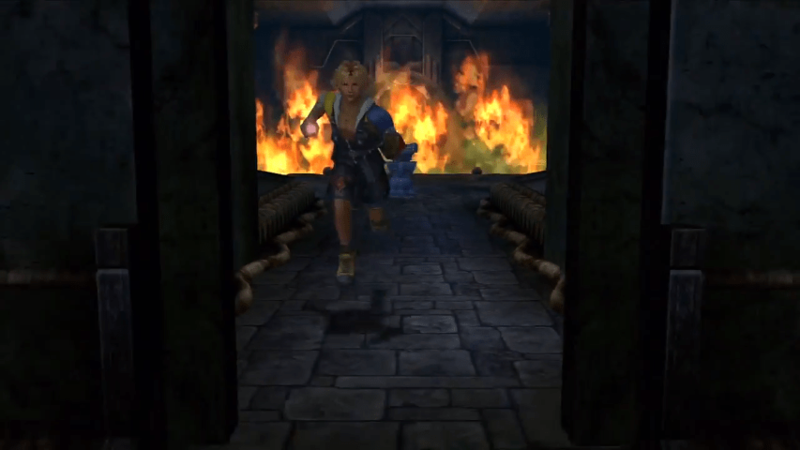 Return to the opening, which should still be burning, and take out the Kilika Sphere. Climb the stairs to finish the second set of trials.